Stand out from the rest of the crowd wearing this coloured saree from the Platinum Fabriks. 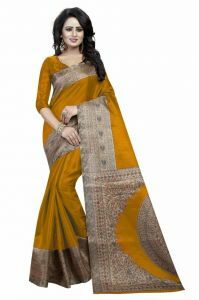 Made of Silk, this saree is quite comfortable to wear. 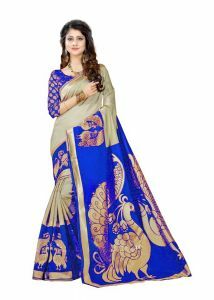 This saree measures 6.20 m and With blouse piece.